B&T Group has been Focused on flower box/flower package box/gift packing box for more than 18 years, In 2016, B&T Group headquarter established in Dongguan City, There are more than 2100 people in our Group, Total area is more than 7800 square meters. 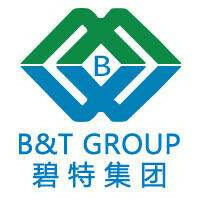 B&T Group has Focused on home decoration/garden decoration/hotel decoration R&D for more than 18 years, In 2016, B&T Group headquarter established in Dongguan City, There are more than 2100 people in our Group, Total operation area is more than 7800 square metters. we have two factory production bases in Dongguan China, our products cover the Resin/Plastics/Glass wares, also the LED and lamp series. "Great Quality-Perfect Service" is our company Culture, We have strict Quality-Control system, we have professional service TEAM, from the business order discussion to order delivery, we will provide our our customers a comfortable business experiences, make sure our customers' satisfaction. our "WIN-WIN-Partners" and Refund Policy will ensure your each business order, the "Good-partners relationship" is what we want, not only business, more important we will be very good friends!! !